The TWikiNetSkin is functional and clean and has corporate appeal. It is the default skin provided with Twiki, Inc. products, designed by Paul van Berkel. 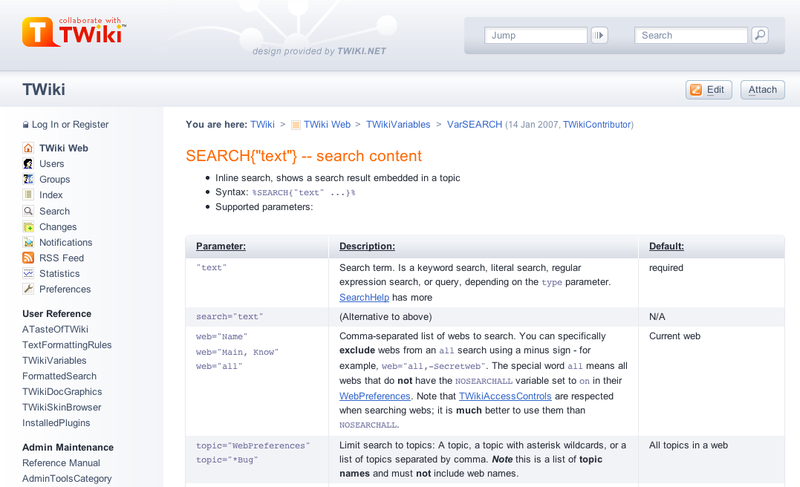 Part of the design is done by TWiki:Plugins/TWikiNetSkinPlugin. Install this plugin for rounded tables and h2 headers. Copyright: © 2007-2010, Twiki, Inc.